The 4th sneak peek was released today for the December 2015 update and I have got to say, it is the best one yet! They have made the necessary changes that all players, whether farmers, pushers, or warrers, have been campaigning for for a while. Looks gigantic in my opinion! You guys might be wondering what will happen to your obstacles on the edge of your base. If it at all touches the grass border, than it will move back with the border. However, if the obstacle is on the physical map, then it will stay where it is. So the time to complete a battle has been increased from 3 minutes to 3 minutes 30 seconds. This change is presumably because of new buildings that have been added and will be added in this update. It will also help war players achieve the 3 star more frequently. -War Preparation Day has also been decreased to 23 hours so that war clans can stay on a constant schedule. Clash of Clans New Update Changes! 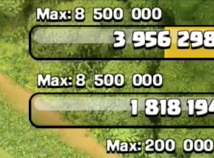 ← Clash of Clans New Update Changes!